A Table ! 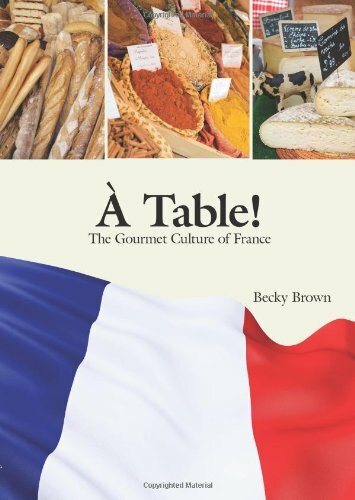 is a unique content-based book covering French culture through the highly motivational use of French cuisine. Organized like a French menu, each chapter includes prose essays, poetry, grammatical points, a degustation exercise and a recipe for students who might want to try their hand at food preparation. Although it is not a culinary book, this book integrates a wide variety of cultural issues into each section. It requires no special knowledge of cuisine, of course, outside what each chapter makes easily available. Using such material, much of French culture, history and regionalism is covered, along with motivated work in language, grammar and idioms. The book provides some structure for the instructor to use Peter Mayle’s (A Year in Provence) Adventure dans la France Gourmande. Discussion questions for his book are included in the appendix.